By Global Petroleum Environmental Technologies, LLC based in Ocala, FLORIDA (USA). Cleaning and safeguarding the environment are vital components to making the world safe for future generations. One of Enviro Clean’s core competencies is the application of its leading edge, cost-efficient, and creative remediation solutions to meet its customers’ varied and individual needs. By Enviro Clean Group based in Oklahoma City, OKLAHOMA (USA). 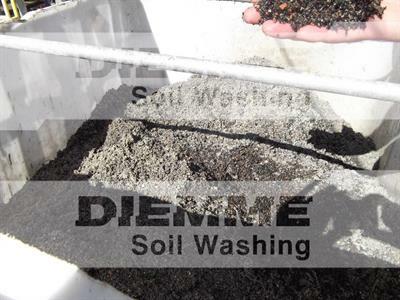 Soil washing can provide a sustainable and cost effective alternative to disposal of soils at landfill, removing hydrocarbons and metals, and allowing the soils to be re-used on site as engineered fill. By Ivey International Inc. based in Surrey, BRITISH COLUMBIA (CANADA). The current high costs associated with the disposal of contaminated soils to landfill and the stepped increases in Landfill Tax have led to a resurgence in on-site treatment and re-use of contaminated soils. Remediation Strategies are able to offer a full range of ex-situ and in-situ soil remediation technologies. By DEC NV (DEME Environmental Contractors) based in Zwijndrecht, BELGIUM. The Ortec group plans and performs all demolition, dismantling and rehabilitation of brown field sites. Its tailor-made solutions are implemented while paying constant attention to meeting high environmental standards. Biological remediation, physico-chemical soil washing, immobilization, thermal treatment. By BioEarth Inc. based in Furlong, PENNSYLVANIA (USA). By Rilta Environmental Ltd based in Co. Dublin, IRELAND. Creating value by restoring true worth. The pressures on land for development in the UK are reaching critical limits, with new land required all the time to service the demands of the growing population. By Eneotech Umwelt GmbH based in Chertsey, UNITED KINGDOM. By Virotec Pty Ltd based in Arundel, AUSTRALIA. American Environmental can execute these services in tandem with our drilling and waste divisions. By American Environmental Corporation based in Indianapolis, INDIANA (USA).